Searching for Cards is done by using the top level main search bar or going to the Advanced search section of the site. Typing a Card Name exactly as it is (e.g. 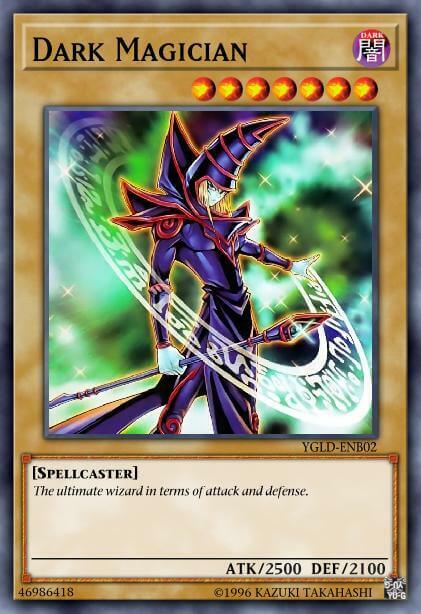 Dark Magician) then it will bring you directly to that cards information page. If you typed part of the name (e.g. Dark Magic) and hit the enter key then it will bring you to the Advanced search page and then search for what you typed. The system also has an auto-complete feature which will help prompt you on the card you are currently searching for. You can do an advanced card search on our Advanced search page. Card Type - Filter the card pool to show cards from the selected card type (Normal Monster, Effect Monster, etc.). Effect Type - Depending on the selection from "Card Type", a secondary option may appear to further filter the card list (Flip Monster, Spirit Monster, Gemini Monster, etc.). Card Race - Filter the card pool to show cards from the selected race/type (Aqua, Beast, Beast-Warrior, etc.). Card Attribute - Filter the card pool to show cards from the selected attribute (DARK, EARTH, FIRE, etc.). Ban List - Filter the card pool to show only cards from the current ban query. Format - Filter the card pool to show only cards from the selected format. This can be permanently set through the settings page. Archetype - Filer the card pool to show only cards from the selected archetype. You can select multiple archetypes. Card Set - Filter the card pool to show only cards from the selected card set. You can select multiple card sets. Card Effect - Filter the card pool to show only cards from the selected card effect. You can select multiple card effects. DEF Value - Filter the card pool to show only cards with the input DEF value. You can also pass > or < for Greater Than or Less Than. Example: <3000. If the input value is from 1-5 then it will search by LINK Value. Level Slider - Filter the card pool to show only cards with the selected level from the slider. A level of 0 means ignore the level value. 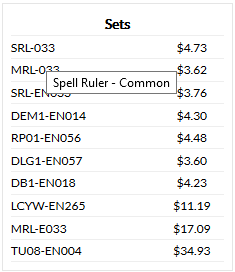 Sort - Order the cards by the sort value selected. Per Page - Change how many cards are viewed per page. This can be permanently set through the settings page. Gallery View - Change how the cards are presented to you. This can be permanently set through the settings page. Reset - Reset all filters to default values. Multiple filters in place result in 3 cards. Our database stores multiple card artwork and will also suggest similar cards based on the currently viewed card. 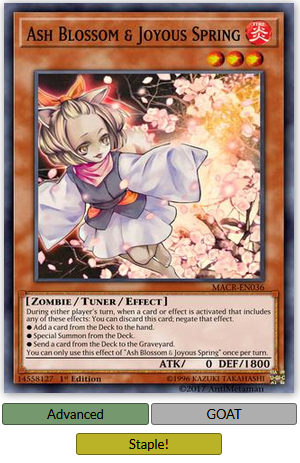 Alternative artwork is only shown on the card information page and will not be shown on the Advanced search page. The Similar Cards section is done programmatically using MySQL Full Text Search. It breaks down each word in the card name and then searches the database using each of those words. It then finds up to the top 8 best matched cards and displays them. Our database calls on the APIs of multiple sites for prices. 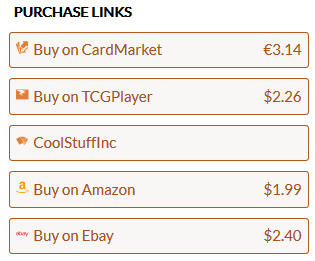 These site are: TCGPLayer, Cardmarket EU, Amazon, eBay and Yu-Gi-Oh! prices. TCGPlayer: We get the average marketprice of every version/rarity of the card you searched and then get the single lowest average marketprice to show you. Cardmarket EU: We get the TREND price for the card which is the price the card is currently trending at. We currently do two run-throughs on the card to increase price accuracy. Amazon: We search for the card (adding the word "Yugioh" to the end of any search) and then get the Lowest New Price of the card. eBay: We search for the card (adding the word "Yugioh" to the end of any search) and then get the current value price of the first listing. We exclude the following words (using the "-" operator) from searches: "proxy, mat, playmat, repack, repacks, sleeve, sleeves, poster, japan, japanese, center, psa, heroclix, kanomi, x3, pack". 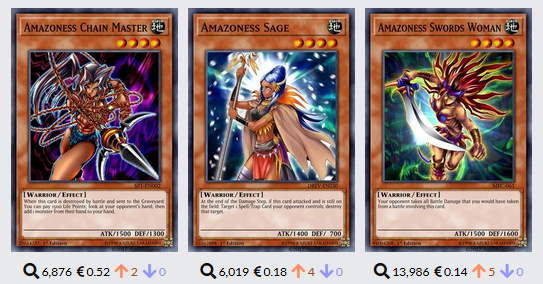 Our database calls on the API of Yugioh Prices to determine card sets and the value of them. When the card information page is loaded, the API is immediately called to load the sets and prices. The sets are loaded with the set code name to save on display area space. 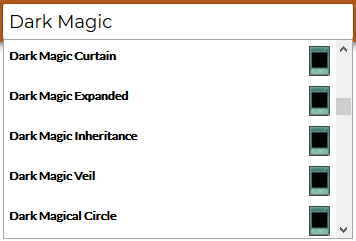 If you hover your mouse over the set code name, you will get the full set name and the rarity of the card. The API gets the average price for the card in each set. Our database has a set amount of cards marked as "Staple" cards. We consider "Staple" cards to be cards that you could benefit from owning and that work in a wide variety of decks (but not necessarily every deck). On our database Advanced search page you can change the dropdown for card type to "Staple" to view a list of staple cards. On the card info page, you can see if a card is marked as staple thanks to the "Staple" indicator.